To reduce the liquidation and bankruptcy of our financial institutions, for debts management in our financial institutions. Financial institutions are committed to providing financial services and intermediation to the various segments of the economy. As a part of the services rendered, they are intermediaries between surplus economic units and deficit economic units. In a modern day society, economic prosperity and progress depend largely on the level of savings in the nation. It follows that someone’s sayings in a financial institution e.g commercial banks is made available to an investor for productive venture, when this happens, a debt is created. Debits is credit received by a borrower from a pure lender who may be a formal or informal institution. These study will be carried out to determine the problem and prospects of debt management in Nigerian financial institutions and how to solve them and also techniques for improvements. From all that has been written above, it is the aim of this study to take segment in our financial institutions and study the debt management and the approaches to take for development. The following listed below will show the aim of the study of this topic. Whether or not the staff of the financial institutions are well skilled and educated. If the customers are trustworthy and what grounds could they be given loans and security back up. To formulate strategies and make recommendation that would be a more effective in debt management of our Nigeria financial institutions. There have been criticisms about the banking industry in the way they render services to their customers. The researcher wants to carry out a research on what banks do and find out if they adopt the techniques of debts management in the condition of services. The researcher also wants to have an empirical base either to support all the sources about the poor impression people have of the banks and other financial institutions and also to advise them on how to improve the way debt are. The scope of this study is very wide and its area of coverage is based on the financial institutions in Nigeria. To be precise the researcher is going to be based on Nigeria banks because that is only the frequent existing financial institution. These findings may not be valid for the whole financial institutions in Nigeria, but by and large, what happens in the banks can be said to be apply to other financial institutions. The following terms used in the study should be taken to mean the following. Debt is described as an obligation to make future payments. It is credit received by a borrower from a pure lender who may be a formal or informal institution, against the borrower’s promise to make future payments. The above definitions were made by Don. N. Ike(1992). Debt management involves arrangement put in place for repayment of such facilities. Financial institutions are institutions committed to providing financial services and intermediation to the various segments of the economy. As part of the services rendered, they are intermediaries between surplus economic units and deficit economic units. Problems mean difficulties to deal with. It also means a question to be answered or solved. Prospects will be described as the chances of being successful. It may be an idea of what may or will happen. Don. N. Ike argued that there are three types of debts. There are good debt, bad debts, doubtful debts. Good debts are debts certain of payments. These are recovered and they are the best type of debts as the lender is sure of receiving both principal and interest. Any bank would prefer this type of debt as it not only enhances the bank profitability but also enhances the recycling of the recovered money as loans and advances to the economy and hence ensuring economic growth. The second type of debt is span set for their normal recovery. They are written off as bad. The losses arising from bad debts should be recognized as soon as possible and written off as adequate provision are made to accommodate them. The reason for customer’s failure to pay may be due to financial difficulties or outright unwillingness to pay. The third type of debts is doubtful recovery. The question of doubtful debts as district from bad debts , is examined only at the end of each accounting period when the accountant addresses himself to the problem of measuring the income of the year. A final security of the debtors account would have eliminated all those accounts considered to be bad and the necessary transfers will have been made to the bad debt account of the remaining debtors, some may ultimately prove to be bad. The convention of conservational requires that the risk of further becoming bad should be discounted. The normal practice is to make a provision for doubtful debt out of current year’s income without seeking to identify particular debts as being doubtful debts become bad and are not rapid. A situation, which had bewildered the banking community and led the central bank of Nigeria in classifying them as being distressed or healthy. In the recent post, a number of banks, commercial and merchant were considered distress by the central bank and the management of the bank so classified had been hand over to Nigeria deposit insurance corporation (NDIC). The guideline issued to classify bad debt into substandard, doubtful and lost and adequate provisioning made, based on practices endorsed by reputable international institution and regulating authorities. At December 1990, the sizes of bad debts reported the entire banking industry was put at N8.billion. An uncontrollable growth of bad debts has many implications for banking industry in terms of Jeopardizing individual bank survival and threatening the nations economic stability and growth. This causes a kind of punctured investment type in the economy as it reduces financial institutions ability to create money and increase credit facilities as to reflect the economy. The prudential guideline issued by the central Bank of Nigeria (CBN) in 1990 is now used to classify bad debts into substandard doubtful and lost and adequate provisioning made based on practices engorged by reputable international institution and regulatory authorities. i. Utilizing the C’s of credit analysis. ii. Assessing the loan Applicant’s financial plan. iii. Assessing the applicant’s potential sources of finance other than bank. In generalized assessment, the credit analysis first observed the potential sources of finance and then the packaging of the proposed planning. i. CHARACTER: the probability that a customer will try to honour his obligations ( the moral character). ii. CAPACITY: based on customers past record and physical observation of his plants or share and business methods, the ability of the customers . iii. CAPITAL: measured by the general financial position of the firm as indicated by a financial ration analysis with emphases on the tangible net with of the enterprise. iv. COLLATERAL: represented by assets that the customers may offer as a pledge for security of the credit extends to him. v. CONDITION: The impact of general economic trends on thje firm or to special development in certain areas of the economy that may affect the customers ability to meet his obligations. vi. CONSTRAINTS: constraints based on legal imperative such as sectoral allocation on credit. vii. ASSESSING THE FINANCIAL PLAN; it is the one thing through to have in existence source of finance and quite another to choose the right sources and package them into inherent financing plan. i. 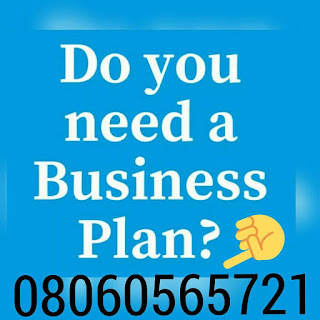 FINANCIAL PLAN: is the sum total of design pat up in order to attain the objectives of financing the assets of an organisation prior to the commencement of envisaged activity. ii. FINANCIAL STRUCTURE: refers to the way the firms assets are financial. It is the entire left hand side of the balance sheet as presented in the British T. Account fashion. iii. CAPITAL STRUCTURE: there permanent financing of the firm represented primarily by long item debt preferred shares, ordinary shares premium on, shares and retained profit but excluding short term credit. It ensures that the future needs for finance are referred both in respect of the amounts and also the moments in time for the lenders: it gives that bank manages some assurance that the enterprise is being properly managed. This is necessary in order to evaluate the planned financial structure and financial requirement. Potential sources are both internal and external. Here, internal courses would include retained profit. Tax provision etc on the other hand external sources of finance would include, trade creditors, factoring the purchase leasing etc. after examining the above, the credit analyst could then examine the justification of the borrower seeking to add. Bank loan and overdraft to the list of external sources. Don N. Ike (1993) argued that there are perhaps as many causes of problem loans as there are problem loans. Let us go now to consider the more common causes of problem loans from the point of view of the bank customer and prior the bank tending practices. From the bank customer problems of division, poor financial analysis and financial analysis and financial knowledge, dishonesty, lack of managerial skills are significant causes of bad debts. a. DIVERSION: Banks give loans on the basis of good feasibility studies, viability and profitability of the proposed. However+-, some customers divert to project other than one originally intended. Divert to project other one originally intended. Also some ignorant borrowers are skill living under the illusion that loans are part of their national cake without making any plans to repay as they full due. It is prominent with agricultural lending. some bank customers are unable to adequately determine the amount of loan facility required to finance a project. This results to customers sometime asking for less function that would complete the project. Such project this cannot be complete with out extra funds. This delays the completion and affects repayment schedule. Bad debts usually result from this. Some bank customers lack the managerial skill and ability to appraise the market, economic and political environment they operate and hence in capable of taking decisions in relation to these factors. It is pertinent to note that most of the customer oriented causes of bad debts could not have arisen if the bankers do their job properly. Thus the causes of bad debts on the part of customers could be attributable to be attributable to be lending banker’s unsufficiency. THE BANK: some of the causes from the point of view of the bankers result from the following problems, lack of strict adherence to the principles of good lending. Poor credit analysis, lack of supervision and control of loan accounts, dishonest bank officials, unqualified bank managers, and lending officers and lending on political grounds. The non-adherence to the principles of good lending is a major cause of incidence of the baddebts. It is lending principle for banks to ascertain if the amount of loan requested by a customer is written its lend limit and whether it is an adequate for the proposed project. However in practice, some banks overlook this resulting to over lending or under lending with consequent default and hence incidence of bad debts. As part of the financial proposal, which a customer presents to the bank, he is expected to furnish to the bank his plans for generating funds for repayment. It is then the job of the bank to verify the reality of this plan by way of preparing customers cash flow forecast. It shows whether the customer would be able to generate the required amount by the time the loan will mature. Unfortunately, lending officers either by ignorance or conscious negligence, analyses as required which in effect results in loan losses. i. The company delays in furnishing financial information for whatever reasons. ii. A major supplier is contemplating reducing credit the customer or intends to out it off entirely. iii. Inventory levels in the financial, statement are at variance with the achievable, either in value or in categorization into work in progress and finished products. iv. A significant change in the level of bank balances that company is keeping. v. Court cases that may have material effect on the company trade. vi. Change of accountant for no congent reasons. ix. Reference reports from other banks. x. Early request for extension renewal. xi. Delay in payment of either the interest due or principle repayment. xii. Non-compliance with the convention of loan agreement. some banks grant credit to customers based on hazy knowledge of customer’s operations and personally. This practice usually leads to situations whereby loans are granted to customers who has neither the willingness nor the capacity to repay the loan. The information contained in the financial statements of the customer serve as a tool for proper loan administration. The loan administer should not work on the statement on their face value, rather indepth financial analysis of the data is required for sound decision making. some lending officers in the bank provide loans to relations or related business without considering the basic principles of lending. This practice often leads to bad and irrecoverable debts. often times, the securities deposited with the bank are not properly valued to reflect the current market prices. These securities are over value and even when they are realised, they do not cover the value of the loans. incidences of bad and doubtful debts in bank may be as a result of inability to monitor and communicated loan policies to guide lending operation. in some banks, some lending staff are not academically and professionally knowledgeable enough to appraise projects adequately and as a consequent most loans granted by them go bad. 7. Manipulation of account records by borrowers. Customers bend on obtaining loan after preparing unfaultable bank statements which are usually manipulated thereby misrepresenting the actual position of their business. these are acts of good which can militate against repayment of loans. These hazards affect agricultural loan more than other categories of loans. They include drought, flood, war etc. the government may change their economic policies which may make a good proposal to go bad. Such policies may frustrate further execution of the projects for which loans have been granted. The result consequent is the unability of the borrowers repay the loans. It is very important that banks do through assessment of financial distress that usually accompanies ball ending. Points for considerations rather than as providing an extrusive coverage. i. Character: the character and integrity of loan seeker is very important to the banker. This is because the bank has to provide loan to person of transparent honesty who will be willing to repay the loan on maturity without being compelled to do so. ii. Capacity : an examination of previous track record will show if the customer has the capacity, technique and managerial know how to execute the project for which the loan is being bought. Bankers understandly give high priority to satisfying themselves that the management of a borrowing from appears reasonably competent. iii. Capital: the customers capital contribution to the project financing must be very reasonable. Where a banker takes up the financing of almost all the stages of a project, the borrower may not get involved so deeply in the execution of job because his state in the project is relatively low. The risk of failure is borne more by the banker. As a result of this bankers should insist that the fund seekers should contribute a reasonable proportion of the project finance. iv. Purpose: the purpose of the loan must be within the regulatory lending framework provided by the central bank of Nigeria. The purpose must not be an illegal one, because the Nigeria law punishes severely parties to illegal contracts. v. Amount: the amount sought by the customers should be adequate for this level of investment. Underestimation of the firm’s needs may lead to difficult decisions on “ topping up” lending at a later stage, this may lead to abandoning the project uncompleted and repayment may not be forthcoming. On the other hand the amount requested might be excessive particularly in relation to the risk the bank is prepared to take. vi. Repayment: the lending banker must ensure that the prospects of repayment are high. Bankers do not like their loans to go bad. If a business entity is seeking financial accommodation. The analysis of financial statements must show that adequate cash flow can be generated to repay the loan. Trend analysis of previous financial statements of the firm will assist the banker in deciding whether the proposal is good or bad. vii. Stability: some firms are very vulnerable to economic fluctuations issues affecting firms’ stability deserve bank consideration when considering a lending proposal. Financial statements for successive years covering the full business cycle should be studied. Where the firms is found to be unstable for a reasonably long fine, the bank should not be eager to tend. viii. Security: security is the bankers safety net which he requires if unforeseen circumstances render the proposed than repayment programme unattainable. Some items are generally acceptable as bankable securities. They include: (a. )cash securities. ( B.) stock and shares of quoted companies © life policy (d) Guarantee and (e) land etc. 1. Quality is more important than new business developments. 2. Every loan should have two unrelated ways out. 3. Character of borrower must be in doubt. 4. Don’t lend to a business you don’t understand. 5 Exercise common sense and good judgment decisions cannot be based solely on guidelines. 6. Purpose of loan should attain the basis of its repayment. 7. Obtain all the necessary facts feel to ask questions. 10. Collateral security is not a substitute for repayment. 11. Obtain a professional option on security if taken. 12. Small borrowers more risky. 13. Pay attention to detail and credit administration. 14. Query loan requests form prospective clients having option of borrowing form their local. 16. For guaranteed loans, ensure that the interests of both borrower and borrowers premises. 17. Make visits to borrower’s premises. 18. The banks interest comes first in every transaction. Ordinary, debts is a common place word. After all almost everybody will meet including yourself and the researcher everybody. You will meet including yourself and the researcher is a debtor in some way to another person or institution. This we have nominal debts, state or national debts and international debts. Hence, we consider the worsening storm in the Nigeria banking financial industry has been weathering since the advent of central bank of Nigeria’s sudden prudential guideline one has nothing but pity for the gallant actor in retrospect, prudential guidelines stipulate that all type of bank debts be fully accounted for within to days of grant of same. The irony is the magnitude of the debts speed. The debt option is cancer – worm now holds individuals, firms, local state and even the federal government. Hostage such natural malaise deserves national priority attention before things get worse. The debt of debts has taken a threatening dimension to the national economy and as a campaign such as the current economic recovery that may go as national debts orientation campaign, need to be put in place in no time. Individual, firms, local, state and federal government need to be professionally guided as to the slow but sure death which faces a debts ridden such as ours. Of course those who derive ill-gotten wealth from guided debts should be made to face the full wrath of the law as provided in the banks and other financial institution. In the course of this research work, the researcher discovered that greater part of the debt owed to banks was loans and advances granted to state government in pursuance of one project or the other. Ever since such loans were granted, no mention has been made by successeding state administrations. To this end, we recommend that such state debt to the banks should be recovered from source with the assistance of the federal government. This direct deduction could be effected on the federal government allocation to state thereby leaving debtor state with their share of allocation less the debt own to banks. On the other hand, an adage say when warning the yam battle to desist from consuming the yam while yet unharvested, you also warn the yam itself to strive to grow its tuber hidden deep in the earth misdemeanor. Nigeria’s instable lust for debt financing agreement is a disaster, but so is the bank desire to dole out same. No smoke without fire. The debt of dept says is the hand work fall Nigerians and it is only them that can dear the mers. The time is now before the entire financial industry to get downed in the debt flood.